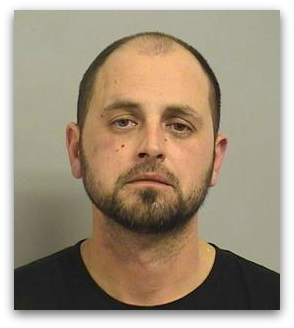 11/06/2018 – Owasso Police arrest a man they say nearly beat a dog to death with an axe on Saturday. Officers responded to a domestic disturbance call just before 2am in the Elm Creek area, and encountered a woman crying and covered in blood. Officers stated the woman told them it wasn’t her blood, but her dog’s, and that her husband had attacked the dog. Reports show they found blood on the floor, wall and door. The soon encountered Kenneth Kittrell, splattered in blood according to police records. Kenneth told them he hit the dog in the head with an axe because it got into the trash. According to the report, officers found a large dog with massive wounds on its head, neck and shoulders, like it had been struck several times with a sharp object. The dog had to be put down due to its injuries. Kittrell was arrested for animal cruelty.